All patients considering contact lenses require an initial consultation where your personal requirements will be discussed and suitable contact lenses will be fitted after taking detailed measurements of your eyes. Our principal optometrist holds additional contact lens qualifications and is BCLA (British Contact Lens Association) prizewinner in 2002. Great for both occasional and full time wearers, Daily Disposables are quickly becoming the best modality in contact lens wear! By using a brand new lens every day, your eye is much less likely to develop microbial infections (compared with traditional re-usable lenses) and whereas original Daily Disposables may have been dry or unsuitable for long days, modern materials such as Alcon's Water Gradient Technology in 'Dailies Total 1' enable comfortable & health lens wear all day every day. Great for full time wearers, reusable contact lenses have been around for many years and come in a variety of shapes, sizes and materials. These rely on greater care, as a single lens sometimes has to last up to 3 months, but can be more cost effective when worn full time. 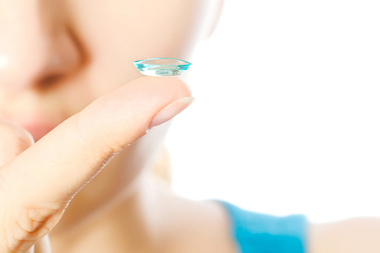 The wide range of reusable lenses means that they can be better for people with stronger prescriptions (which may not be available in a daily disposable). Modern reusable lenses tend to be made of Silicon Hydrogel materials, which enable more oxygen to the front of your eye, thereby allowing a longer wear time and even overnight wear - imagine waking up with clear vision! Whilst the more common short & long sighted prescriptions can be corrected with standard "spherical" contact lenses, Astigmatic Prescriptions require a "toric" lens. These more specialised lenses allow better accuracy at correcting the distortion that's seen at all distances with an astigmatic or "rugby-ball shaped" eye. Toric lenses are now available in more and more varieties, including Daily Disposable, Monthly Reusable, Traditional Hydrogel, or breathable Silicon Hydrogel materials.